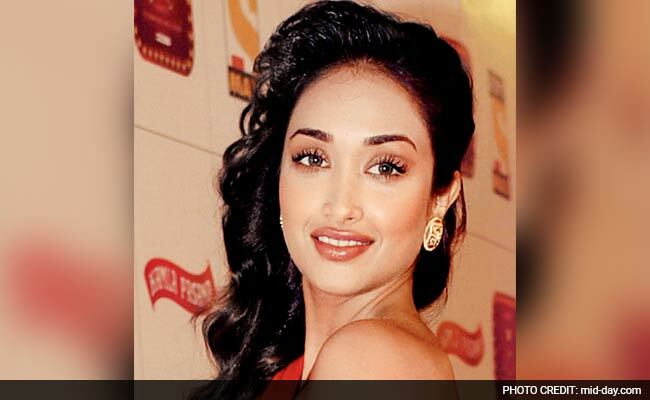 Jiah Khan was found hanging in her Juhu apartment on June 3, 2013. Mumbai: Independent forensic expert Prof (Dr) R K Sharma told the Central Bureau of Investigation (CBI) in September this year that the death of actress Jiah Khan could be a homicidal hanging, and not suicide as two of the country's top forensic labs have stated. Khan was found hanging in her Juhu apartment on June 3, 2013. A post-mortem conducted by forensic surgeons attached to JJ post-mortem centre ruled it a suicide, which was challenged by her mother Rabiya Khan, who then approached Sharma, president of the Indian Association of Medico Legal Experts and former head of the department of forensic medicine and toxicology in AIIMS, Delhi, to study the case. It was on the basis of Dr Sharma's findings that the Bombay High Court transferred the case to the CBI. As per the chargesheet filed by the CBI last week, the investigating body's officials had requested the Postgraduate Institute of Medical Education & Research at Chandigarh, seeking an expert opinion on the cause of death. On July 14, 2015, the medical board, comprising professor Dalbir Singh, and two of his colleagues - assistant professor Dr Murali G and medical officer, staff clinic, Dr Sandeep Flora - submitted their written opinion to CBI. When the Chandigarh report echoed the report prepared by the post-mortem centre of JJ Hospital, the CBI team approached Dr Sharma and recorded his statement. In his statement to the CBI, Dr Sharma said, "I prepared my final report after going through the documents/photographs provided by Rabiya. I had opined the need to examine the video recording of the postmortem to reach the correct cause of death." The CBI even provided Dr Sharma the video recordings of the postmortem, photographs and post mortem report, CFSL report, expert opinion given by the Medical Board and on going through the same, Dr Sharma raised a few discrepancies in the post-mortem report prepared by the forensic doctors at JJ. The injuries found on Khan's lip were not examined by the post mortem (PM) doctors, who should have cut it to see whether they were fresh or not. Though the PM report says that samples of nail clippings and swabs were taken, this was not shown in the PM video recording. While the PM video shows that the weight of the internal organs were recorded, this hasn't been mentioned in the PM report. The video doesn't show examination of lungs by dissection. It has been mentioned in the PM report that the stomach's contents emanated a fruity smell, but the video shows no efforts by the doctors to examine the same. The doctors are also not seen measuring the total stomach contents in the PM video. The PM video hasn't been recorded continuously as the suturing of the body and sealing of viscera and other evidence is not see. The Medical Board relied completely on the findings of the PM report. Most suggestions given by them are non-specific. The report also does not comment on the very high concentration of alcohol in the body, making a person unable to commit suicide by hanging. The report is also silent on other aspects of CFSL report of nail clippings and blood examinations. The PM examination was not done properly as the injury on the lips were not examined properly and injury on the left arm (inner aspect) was missed out. Presence of such injuries may be reflective of struggle/holding a person tightly for suspension. The deceased was incapacitated because of high alcohol concentration and it is possible for an able bodied person to hang an incapacitated person easily. Non-submission of nail clippings for DNA analysis is a grave error. Destruction of the sample is not acceptable. Sharma concluded that, "The homicidal hanging in this case could not be ruled out." A senior CBI officer, when asked to clarify on the points raised by Dr Sharma, said, "We have recorded the statement of doctors from JJ Postmortem Center who conducted the autopsy on Jiah's body on June 4, 2013. The doctors were asked to clarify each point raised by Dr Sharma and they have responded to the same, concluding that the death was indeed a case of 'suicidal hanging' and not 'homicidal hanging'. The doctors are prosecution witnesses and only after going through all direct and indirect evidences in the case, have we registered the offence under section 306. If the court is satisfied, additional sections will be added accordingly." institute/laboratory such as AIIMS or CFSL, Hyderabad." Rabiya Khan told SUNDAY mid-day, "I had asked for a CBI probe, so that they could answer the forensic questions raised by Dr Sharma during their investigations, but unfortunately they claim that my daughter hanged herself. How can two independent forensic experts Dr Sharma and Dr Jason Payne-James, attach&#233;d to Forensic Healthcare Service Limited, United Kingdom, conclude that Jiah's death was a case of 'homicidal hanging' and the investigating agency's have a different point of view?" Below are the questions raised by the CBI to the Medical Board, Postgraduate Institute of Medical Education & Research, Chandigarh, which is now part of the chargesheet (a copy of the same is with this paper). Q. What is the actual cause of death on the basis of medical reports? A. As per the findings of the post-mortem report of the deceased Jiah Khan, the possibility of 'asphyxia due to ligature constriction of neck' being the cause of death in this case cannot be ruled out. Q. Are the injuries on the chin and around the neck ante-mortem or post-mortem in nature? If so, how? A. Owing to the presence of vital signs such as colour changes of the injuries, congestion and edema of underlying tissues, the possibility of the injuries on the chin and around the neck of the deceased being ante-mortem (before death) in nature cannot be ruled out. Q. Can the ligature marks seen on the neck of the deceased be caused by the dupatta as found in i) suicidal hanging or ii) homicidal hanging. If so, how? A. No opinion can be given. Q. Is this a case of suicidal death or homicidal death? Please explain? A. As per the findings of the post-mortem report of the deceased, in the absence of struggle marks over the body, the possibility of suicidal death cannot be ruled out. However, to arrive at a logical conclusion, the ligature material and other circumstantial evidences may also be taken into consideration.